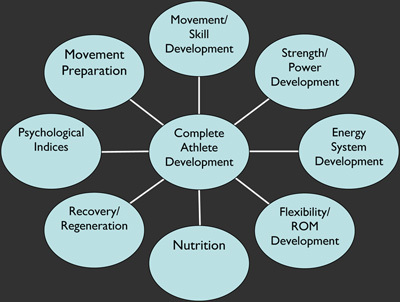 The ASF System of Development looks at the athlete, not necessarily the sport in which he/she plays. The Fundamentals have to be taught, applied and correctly executed before an athlete is progressed to more challenging skill development exercises. We like to call it, “Crushing the Fundamentals”. 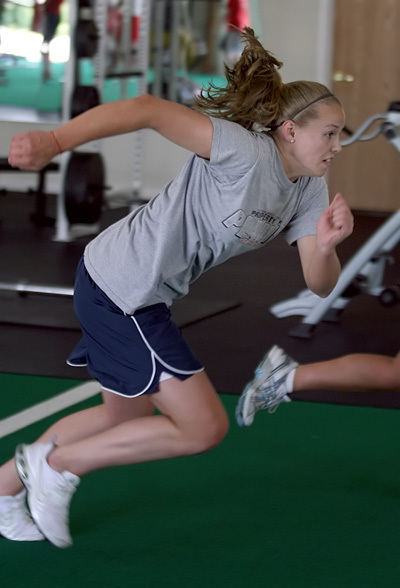 We have a list of “A” exercises that we employ to start teaching the mastery of athleticism. We develop skills, we don’t teach drills! Our main goal is to develop athletes through skill acquisition and proper and repetitive execution. Typical age range 9 to 11. This level teaches the very basics of human movement and coordination. Our main goal is work on the correct mechanics of skipping, running, jumping, hopping, landing, pushing, pulling, starting, stopping, changing direction, and gross motor learning. We also want to establish a mental library of focus, confidence and engagement. This stage will also introduce the concepts of relative strength and power development. Typical age range 12-14. This level builds upon the previous level, and analyzes the needs of a pre-pubescent athlete. The emphasis is still on the Fundamental principles of athleticism, additionally, new concepts are taught and developed, including acceleration/deceleration mechanics, first step quickness, multidirectional speed, agility, transition mechanics, absolute and core strength, etc. Intermediate and some advanced skills are developed in this stage. Typical age range 15-18. The third level focuses on the high school athlete who is in the process of, or who has gone through, puberty. Based on their biology at the time of training, this level can work on an accelerated basis. As mentioned, the athlete has to have a foundation before there is a progression in intensity, frequency and more advanced goals. With that said, this stage involves more absolute and relative strength and power development coupled with an aggressive mentality towards training, both the process and the outcome. All team training must also be done on the same days and times. Please contact Tony for more information. Monthly rates after the trial range from $169-$299. Monday through Thursday: 3:00; 4:00; 5:00; 6:15; 7:30. For Those of You That Want to Get a Jumpstart, fill out the Athlete Profile and hit the submit form button. Someone will contact you immediately!